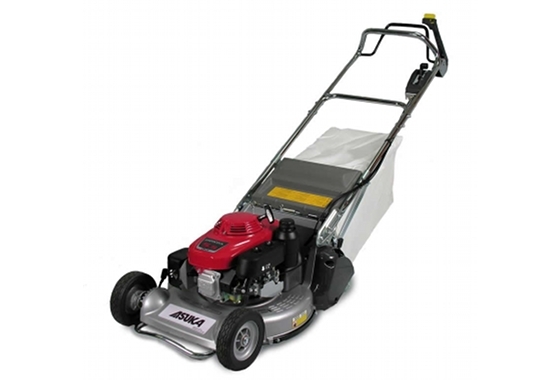 Asuka lawnmowers are built for the demands of the professional gardener and landscaper. These powerful self-propelled mowers are designed for a heavy workload. All models feature a blade brake clutch allowing you to stop the blades rotating whilst the engine is still running. Powered by a choice of Honda or Kawasaki engines, renowned for reliability and long life, these machines provide a superb lawn finish.